Thank you for your interest in Mueller College. Enrolment at Mueller is by application using the following process. Your application will be accepted, declined or placed on a waiting list. Mueller College’s strategic plan identifies that the College is to conduct its relationships, programs and business dealings in a way that demonstrates Christian values and ethics. Parents are likewise accountable to the College for prompt and full payment of invoiced fees according to the terms of enrolment. Fees are due on the first day of each term unless an alternate schedule has been agreed to in writing with the Accounts Manager. An invoice notifying parents of the amount due will be sent out at least 2-3 weeks prior to each due date. If fees are not paid by the due date and you have not signed a current year payment plan, then the account will be listed as overdue and reviewed by the Finance Committee. An early payment discount of 5% off the tuition fees applies if the full year tuition fee is paid prior to 29th January 2019. 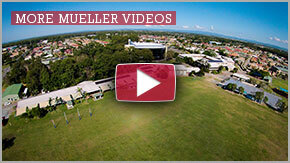 The preferred method of communication with the Accounts Manager is via e-mail (accounts@mueller.qld.edu.au). This is especially important if you are making requests to the Accounts Manager so that two-way communication can be fully documented for future reference. Parents are also strongly encouraged to provide a current email address to ensure that important financial information such as invoices, payment plans and other notifications are received in a timely manner. Our preferred methods of payment are BPAY or using the Parent Lounge on-line payment system. Should you experience financial hardship or difficulty with payment of fees, you are invited to discuss an alternate payment schedule with the Accounts Manager on a strictly confidential basis. Communication is vital. All parents or guardians who have signed a Confirmation of Enrolment are jointly and severally liable for the payment of fees. The College reserves the right to make an overdue charge of 10% of the outstanding balance if fees remain unpaid at the end of the year without a prior arrangement being made. Failure to pay overdue accounts may result in your enrolment being stopped or cancelled. Notification of withdrawal from the College must be in writing (letter or email), giving one full term’s notice. 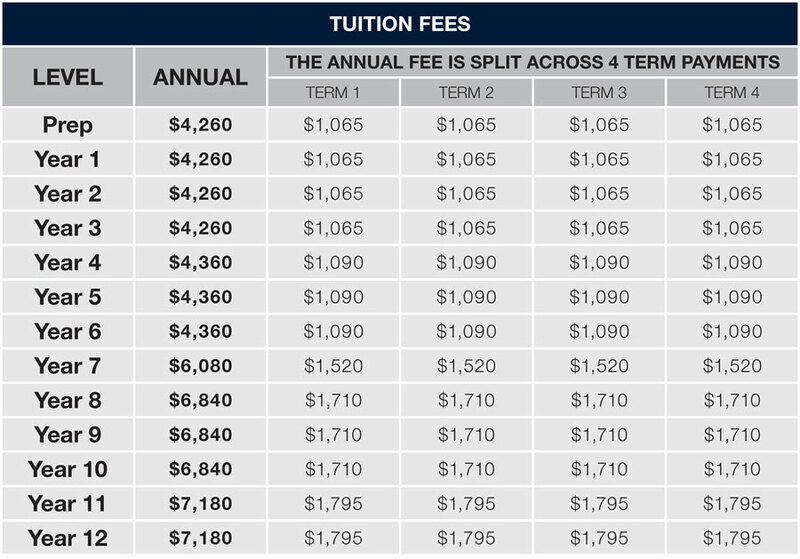 Otherwise, fees for the following term become due and payable. The confirmation of enrolment fee of $300 is payable immediately after the student enrolment position is confirmed. The confirmation of enrolment fee is non-refundable if the student does not start at the College on the agreed starting date. The confirmation of enrolment fee paid will be transferred to the students school fee account on commencement at the College. Exclusion from the College will entitle parents to have the fees owing adjusted up to the date of exclusion. 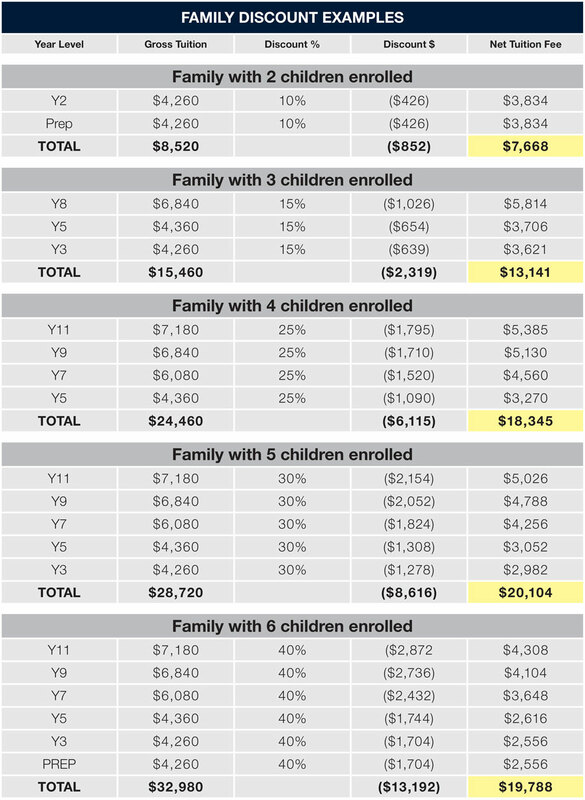 Suggested contribution is $250 per year per family. Cheques are to be made payable to the Mueller College Building Fund or Mueller College Library Fund. The cost of all compulsory excursions, camps, and activities is included in the fees for tuition and there will not be any additional charges for them. Compulsory excursions, camps and activities are either curriculum related or something that every child in the year level is expected to attend if at all possible. Some examples of these are: Year Level camps (Years 2, 3, 4, 7-11), Wilderness camp, Biology camp, Graduation activities. Non-compulsory or extra-curricular excursions, camps, or activities will be charged separately in the term in which the event occurs. 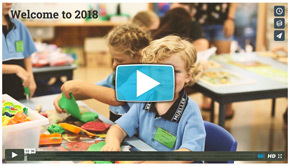 Some examples of these are: Year 6 Canberra Tour, Sports Camp, Music Camp, Music Tour, Sports Academies, Ski Trip, Melbourne Arts Tour, Missions Trips, Instrumental Music Lessons. Payments are to be made via Parent Lounge only. The costs of all non-compulsory or extra-curricular excursions, camps, or activities must be paid in full prior to the event. Where tuition fees are outstanding, parents are expected to bring their account up to date before students will be permitted to attend any non compulsory or extra-curricular excursions, camps or activities.